Your home is your castle and your biggest investment. When it comes to roof repair, gutter replacement, or siding installation, you can trust the professionals at Dominion Roofing Co to give your home the care it deserves. We’ve been serving homeowners in Montgomery County for nearly three decades and we aren’t going anywhere. Thank you so much for the excellent job!!! Use us as a reference any time . Crew did a nice job and were very good about clean up. Maryland homes are subject to significant weather events including winter blizzards and summer storms that can bring down tree limbs and cause serious damage to roofing. Even damage from hurricanes is not out of the question! Dominion Roofing Co. has been repairing and replacing storm damaged roofs in the Chevy Chase, MD area long enough to bring experience to the job. We will do everything possible to repair your roof and secure your home. Contact Dominion Roofing Co. for a no-obligation roof inspection today. 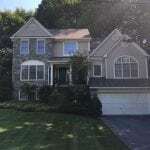 With more than 25 years of roof replacement experience in Maryland, Dominion Roofing Co. has established itself as one of the most trusted roofing companies serving Chevy Chase, MD. Here is a recently completed job in Chevy Chase, MD. This was a complete tear-off of all roofing and gutters. We installed new Certainteed Landmark shingles in the weathered wood color. We also replaced the five inch gutters with six inch commercial size to shed the water efficiently. For this particular job, we installed custom fabricated metal standing seam roofing to the front lower sections which gave the house a unique look. Normal weather patterns over the years can take their toll on your home’s exterior. 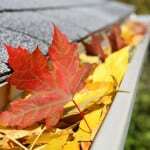 Your roof, gutters and flashing can take a beating, your siding may need updated, and your home may be showing its age. Dominion is your go-to contractor in Chevy Chase, MD for exterior improvements such as siding installation, gutters, soffits, and more! 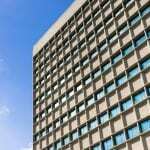 Call on Dominion Roofing Co. for your Chevy Chase, MD commercial roofing needs as well. We approach your commercial repair and installation with the same care and dedication we offer our residential customers. We respect your need to do business and will do everything possible to keep you operational. We honor your expectations, and will complete your project, no matter how big or how small, in an efficient and cost-minded manner. 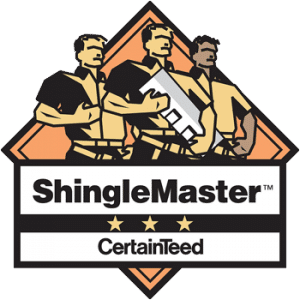 Talk to A Trusted Maryland Roofer in Chevy Chase, MD Today! If your home or business is in need of a roofing company in Chevy Chase, MD, trust Dominion Roofing Co. to get your roofing project completed in a professional and timely manner. We offer no-obligation estimates, and will come inspect your roof should you suspect a leak or water stain is the result of roof damage. Contact us today to get started.